I think it was a mistake to allow prescription drug commercials on TV. In my humble opinion, at least. But I’m not alone in disliking these commercials, or direct-to-consumer (DTC) ads, as they’re called. 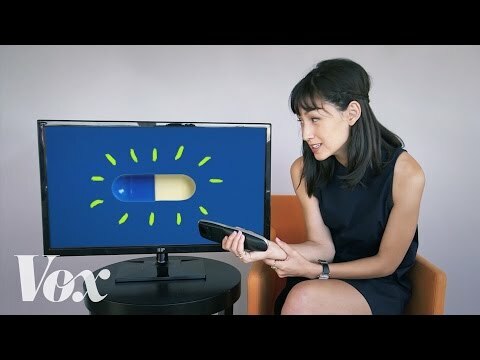 The news website Vox recently released a video that explains more about how DTC ads came to be ever present on our TVs. They attempt to be fair and present both sides of the debate, but it seems to me they lean negative. What do you think? Cost aside, the long-term safety and efficacy of new drugs has not been established. Many new drugs are pulled off the market in the first few years because of safety concerns. My other objection is that DTC ads send a bad message to kids who might be watching them on TV. The message? That prescription drugs are not only a common part of living, but they always make you feel better, happier, younger, etc. That kind of subliminal message on impressionable young minds might be good for Big Pharma’s future business, but I certainly don’t think it’s good for our future health—physical or financial. Again, what do you think? If you have an opinion, please leave a comment!